In June of 1976, Bhavan's Journal, a Bombay cultural and religious magazine, sent various religious and spiritual leaders a questionnaire, seeking enlightened answers to some of the perplexing questions of the day, such as the place of religion in modern society. 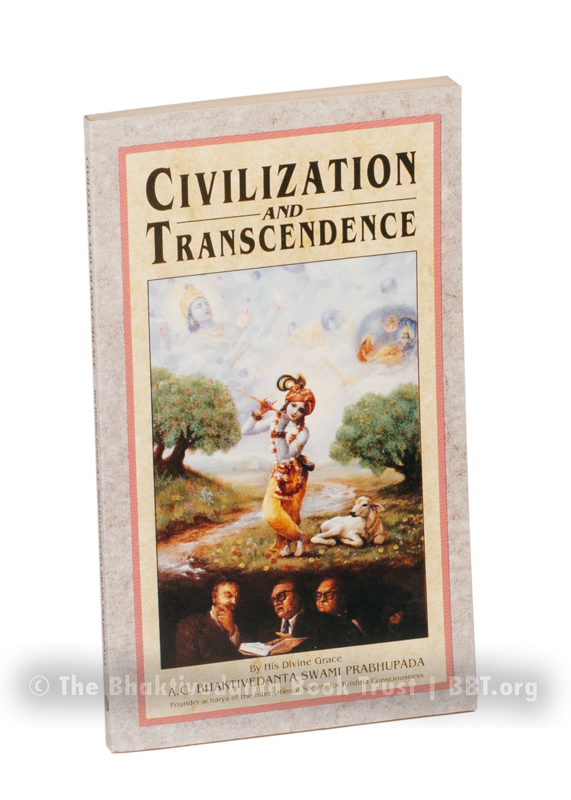 One recipient of their questionnaire was Srila Prabhupada, who took the opportunity to make a thorough presentation of the ideal Vedic civilization, show the faults of modern society from the viewpoint of transcendence, and offer practical solutions based on Krishna conscious teachings. Srila Prabhupada: We are sometimes labeled "escapists." What is the charge? Disciple: They say we are escaping from reality. Srila Prabhupada: Yes, escaping your fruitless endeavor. Copyright © 2016 The Bhaktivedanta Book Trust International, Inc.